To surprise all your friends, family and guests in this Halloween day, nothing better than a ghost to do it, below you are going to find a great selection of images with many kinds of ghosts that you could use to share, send or print. 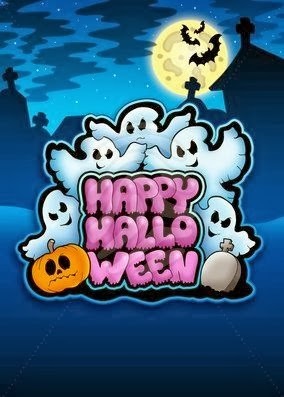 A group of Halloween ghosts around the phrase: Happy Halloween. A funny image with some ghosts leaving an old castle. An animated image with a ghost with eyed that change of color and the phrase: Boo !!! 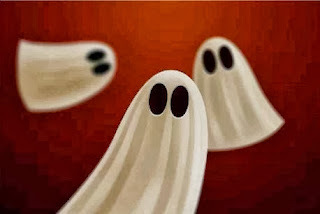 A group of three turquoise ghosts on a black background. A ghost smiling with the phrase: Happy Halloween. A funny ghost with a big smile and big hands. A white ghost on a black background the phrase Booo!!! in white. I hope you have enjoyed these Halloween Ghosts.